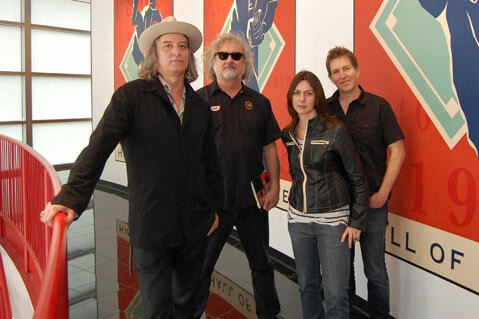 There is a band so talented it can shunt a guitarist as good as Peter Buck (yes, of REM) to bass, not unlike the Yankees moving A-Rod to third because they had Derek Jeter at shortstop. If you think that analogy is odd, then you clearly don’t know The Baseball Project, a fantastic foursome made up of Buck, Steve Wynn (Dream Syndicate), Linda Pitmon, and Scott McCaughey (Young Fresh Fellows, The Minus 5) that together make the catchiest indie rock ever to offer odes to Curt Flood, Fernando Valenzuela (in Spanish, no less), and “Panda and the Freak.” Sure, they might be the only indie rock outfit to do so, but that just seems to make them better. Get into the seasonal swing of things with The Baseball Project, which will play a 21+ show at the Mercury Lounge (5871 Hollister Ave.) this Friday, April 1, at 9 p.m. Call 967-0907 or visit clubmercy.com for tickets and info.